Experiencing Adobe's Creative Suite 5 (CS5) Master Collection is like visiting London, Paris, or New York! Where you go, what you explore and the delights you choose to sample depend in part on the purpose of your trip. Adobe's Creative Suite 5 offers new tools for collaborative work in multimedia design, web development, and video production. Bundled applications deliver a wealth of digital opportunities for teaching 21st century technology literacy skills supporting creativity, communication, critical thinking and group work across subjects. Additionally, Adobe offers free curriculum and instructional content as well as certification options and professional development resources designed to provide classroom instruction and training in the high demand field of digital communications technology (http://www.adobe.com/education/solutions/k12/careerteched/). Optimized to run on multicore processors with 64-bit aware Macintosh, Windows 7 and Vista operating systems, CS5 Master Collection consists of 17 applications, including Photoshop CS5 Extended, Illustrator CS5, InDesign CS5, Acrobat 9 Pro, Flash Catalyst CS5, Flash CS5 Professional, Flash Builder 4, Dreamweaver CS5, Fireworks CS5, Contribute CS5, Adobe Premiere Pro CS5, After Effects CS5, Soundbooth CS5, Adobe OnLocation CS5, Encore CS5, Bridge CS5, Device Central CS5, and Dynamic Link CS5. Specially priced teacher and student editions of Design CS5 (Standard and Premium), Web CS5 Premium, and Production CS5 Premium (http://www.adobe.com/education/students/) contain the same full-version software applications as the commercial packages at a price much more affordable than earlier editions. Creative Suite 5 Master Collection Student and Teacher Edition, $899. Alternatively you can purchase Creative Suite 5 Design Premium (Student and Teacher Edition), $449, Creative Suite 5 Web Premium (Student and Teacher Edition), $449, Creative Suite 5 Production Premium (Student and Teacher Edition), $449. Student and Teach Editions are also available for single products such as Dreamweaver CS5, $149, Photoshop CS5 Extended, $199, Flash Professional CS5, $179 and Acrobat 9 Pro, $119. School site licenses come with installation rights for up to 250 or 500 school-owned or school-leased computers. Every Adobe upgrade integrates enhancements and new features to speed up performance, simplify operation, and increase opportunities for static and interactive content design on numerous devices, including desktop computers, laptops, handhelds, Netbooks, tablets, smart phones, TVs, game consoles and more. CS5 Master Collection is no different with its support for 64-bit processors and tighter integration among the programs (e.g., enhanced drag-and-drop capability between CS5 applications, ability to export InDesign content as HTML pages that open in Dreamweaver or as an interactive SWF document containing animation, sound, and video for playback in the Adobe Flash Player. Adobe Device Central CS5 bundled with the collection and now with support for Adobe Flash Player 10.1, lets you test the content you create by simulating how it runs on over 100 devices. You can easily download a device profile from the Device Central Library (see image, right) or connect to it directly from one of several CS5 applications including Dreamweaver, Photoshop, Illustrator, Fireworks, After Effects, Premiere Pro and Flash. The latest Master Collection delivers improved control over media you use and content you create. Its Mini Bridge Media Manager (a subset of Adobe Bridge) is a customizable panel that lets you see thumbnails of pictures and other assets without leaving Photoshop CS5 or InDesign CS5 (see image, above). You can then open those files with a simple drag and drop. A link to Adobe CS Live in the menu bar of several CS5 applications connects you to Adobe online services where you can share the video sequences, page layouts, artboards, and image comps content you create with others. CS Live (free for a year with the purchase of Master Collection) consists of five services, including Adobe CS Review for online collaborative review, Adobe BrowserLab to preview and test Web content in Internet Browsers or on operating systems you may not have (see image, below), and Acrobat.com for Web conferencing and file sharing. Tight integration with Adobe Flash Catalyst enables users to create artwork in Photoshop or Illustrator and bring it into the new Flash Catalyst application to add actions and interactive components. Illustrator, Photoshop, Dreamweaver, Flash and Fireworks allow users to create and save application workspaces consisting of panels and toolbars in custom configurations. This is helpful in a school lab setting where so many students and teachers use the applications. Support for "live" workspaces directs the CS5 applications to record adjustments automatically. When you switch among workspace configurations, panels remain exactly where you left them. InDesign lets you create layouts with multiple page sizes. For example, you can start out with a conventional letter-size document, then create a page in the spread suited for printing on a postcard or an envelope. When you create a text frame with multiple columns, you can choose the Balance Columns setting in the Text Frame Options dialog box to balance text across columns (see image, right). It's now easier to rotate a selected InDesign page item. As in Illustrator, you simply position the Selection Tool pointer just outside a corner handle, then drag the arrowhead to rotate the item. The InDesign layers panel now looks a lot like the layers panel in Photoshop and Illustrator. In Photoshop, the Ruler tool has a straighten option (with built-in automatic cropping to eliminate white space, making it easier to align images. The Clone tool now lets you reverse the direction of the clone source, a feature that will come in handy when mirroring items like eyes. The Refine Edge command improves element selection. A Content Aware fill feature determines what should have been in an image when elements are removed. A Puppet Warp tool (Edit/Puppet Warp) lets you add anchor points to selected portions of an image. You can then stretch, twist or bend the image by dragging on an anchor point. Finally, with Photoshop CS5 you can speed up access to saved workspaces by assigning (and saving) keyboard shortcuts. Dreamweaver CS5 comes with a Site Setup dialog box that makes it easier to create new Web sites (see image, below left). The application includes more than 16 CSS layouts that work well with a variety of browsers and platforms. A CSS Inspect feature helps content creators examine border, margin, and padding attributes of selected areas, and edit those properties using the CSS panel. Additionally, Dreamweaver CS5 includes improved support for open-source content management systems such as Drupal, WordPress, and Joomla! Adobe has also released an HTML5 add-on pack for Dreamweaver CS5 so the application can provide code hints for HTML5 elements and CSS3 styles when users build pages in Code-view. Thanks to this add-on (released shortly after the Dreamweaver CS5 debut), the application's Live View window can now render pages built with HTML5 and CSS3.Illustrator now has a Beautiful Strokes option variable Width fill to vary width of the stroke. A new Bristle brush paints brush strokes of different sizes with the appearance of natural bristles. Users choose bristle shape, length, thickness, and opacity. A keyboard shortcut lets you select an object placed behind other objects. While menu commands follow a similar arrangement from one application to another, keyboard shortcuts for commands common to several applications are not identical. For example, the Check Spelling command in Dreamweaver is Shift + F7, but in Illustrator and InDesign it's Cmd+I (Mac) and Ctrl+I on Windows. Check Spelling has no assigned keyboard shortcut in Photoshop. In the CS5 lineup, Acrobat Pro 9 hasn't been updated. CS5 applications run best on systems with 4 GB or more RAM and 64-bit operating systems, requirements that will prove disconcerting to schools and districts that have not transitioned to the latest hardware. Similarly, Premiere Pro CS5 and After Effects CS5 for Windows won't even run on 32-bit systems. Note: To support users running a 32-bit version of Windows, Adobe CS5 Master Collection comes with a full working version of Adobe Premiere Pro CS4 that you can use until you upgrade to a 64-bit version of Windows Vista or Windows 7. Windows users who wish to purchase a stand-alone copy of Premiere Pro must upgrade their operating system to a 64-bit version of Windows Vista or Windows 7. Students can use InDesign to produce the school newspaper or create flyers for class events and fundraisers. They can work with Photoshop to edit digital photos for class assignments and personal portfolios. They can use Illustrator as a companion program to Photoshop or standalone to create original artwork, elaborate drawings, technical illustrations, and logos. Dreamweaver facilitates the design of personal, class, or school Web sites. With the growing impact of technology on how students "work, play, learn and socialize" (Johnson, L., Smith, R., Levine, A., and Haywood, K., (2010). The 2010 Horizon Report: K-12 Edition (wp.nmc.org/horizon-k12-2010), integrating the right technology tools for teaching, learning, and creative inquiry can make all the difference in raising student interest, motivating higher achievement, and supporting creativity and innovation. Adobe CS5 Master Collection is more than just a casual collection of digital tools for graphic design, video editing, and web development. Each application is an industry standard. Students who become familiar with CS5's powerful features and resources as part of their regular coursework have a better understanding of the technology tools used by real-world professionals. 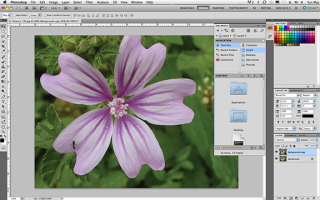 Applications in Adobe CS5 Master Collection are powerful and complex. Even if students work through Adobe's free year-long project-based curricula in Visual Design, Digital Design and Digital video (www.adobe.com/education/instruction/teach/digitalcareers.html) or they take advantage of the numerous free tutorials and video demonstrations (http://tv.adobe.com/), becoming comfortable with the tools will take time. Applications in the Master Collection are best reserved for high school age students, teachers, staff and administrators, and not elementary school age students. Individual programs in the Master Collection, e.g., Adobe Photoshop, InDesign and Dreamweaver can be introduced to young students with great success. If you expect students to use a single CS5 product like Photoshop, Dreamweaver, Illustrator or InDesign, then a volume license for the designated product is the way to go. But if your goal is to have students learn how to produce content for print or digital publications, edit digital photos and videos, produce original artwork for class assignments, or design a Web site with audio, video, text and other content, it makes much more economic sense to purchase a CS5 Premium suite bundle or the full-featured Master Collection. As a bonus, the Master Collection School Site license also comes with home-use rights enabling teachers to install the Master Collection applications on their home computers. Carol S. Holzberg, PhD, cholzberg@gmail.com, (Shutesbury, Massachusetts) is an educational technology specialist and anthropologist who writes for several publications. She works as District Technology Coordinator for Greenfield Public Schools and the Greenfield Center School (Greenfield, Massachusetts) and teaches in both the Licensure program at Hampshire Educational Collaborative (Northampton, MA) and online in the School of Education at Capella University. Send comments or queries via email to cholzberg@gmail.com.